Since 1959 Ludi Neiss has, first by himself, later together with his wife Christine, run the vineyard that back then was also active in farming. In the 1970s, the business was completely oriented towards viticulture and dedicated itself to the cultivation of the vineyards. 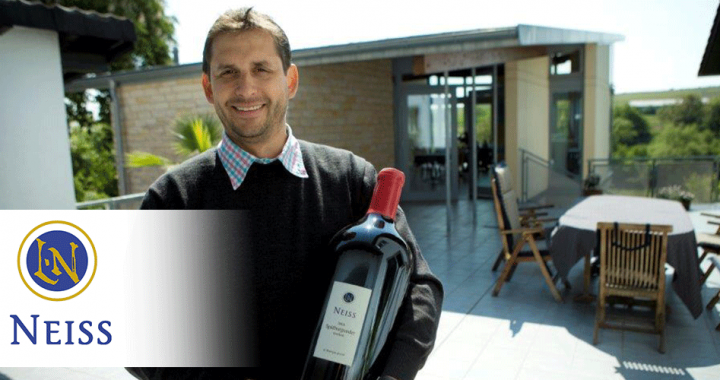 Now in the 5th generation, son Axel Neiss took over the vineyard in 1997, after having been trained to become a wine grower, a degree in oenology in Geisenheim as well as several stays abroad. Since then fundamental measures of modernisation have been carried out: acquisition of best sitings in our area, change towards traditional wines as well as changed modes of work in the vineyard and cellar that also improve the quality of our wines. The 6th generation of the family is still growing up. Max, Julian and Anton let us hope that the vineyard Neiss will be run with passion and enthusiasm in the future. To bring the uncompromisingly, quality oriented work on the vineyards and in the cellar into the bottle, so that the uniqueness is manifested with our customers. It is our motivation to strive for the best wine.